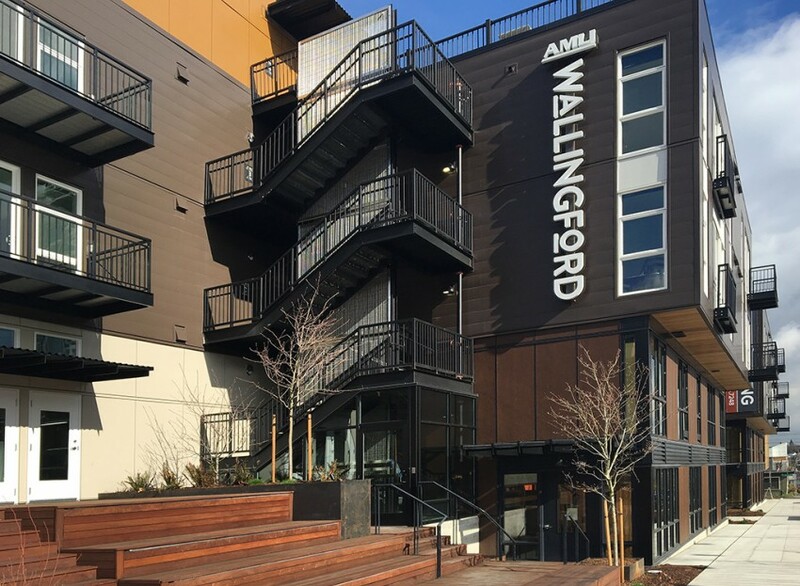 The AMLI Wallingford Apartments project is a new multi-housing apartment building in the Wallingford neighborhood of Seattle. 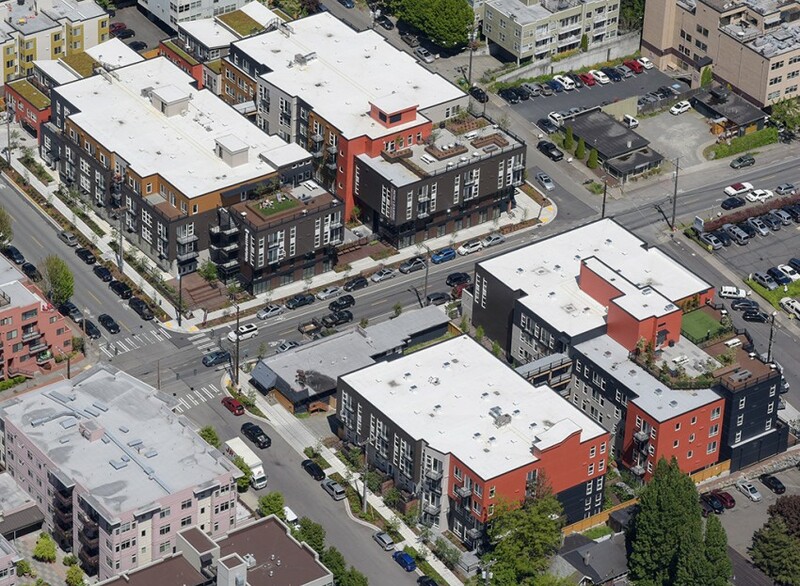 This 181,000 sf project holds 231 market-rate apartment units, including 27 live-work units, on two sites across the street from each other. Each site (North & South) is constructed with four floors of wood framing, post and beam lobby areas, and 1.5 levels of underground parking. This project incorporates a diverse mix of residential units including one, two, and three bedrooms units, flats, and lofts. This higher-end market rate building includes amenity areas such as public and private plazas and courtyards, indoor and rooftop gathering spaces, and fitness spaces—including bicycle and kayak storage/maintenance areas. Open courtyards, thoughtful landscaping, generous setbacks and facades not only add to the aesthetic value of this building, but prevent the buildings from disrupting any modes of transportation in this active community. The previous use of the north building site was a facility that manufactured parts for the aircraft industry and used chemicals that leached into the soil. This required export of 15,000 cubic yards of contaminated soil and new treatment wells for an ongoing liquid injection system within the building’s footprint as well as public areas surrounding the building. There were also existing wells in place that required relocation and protection during the construction process. Rafn crews were successful in constructing this project during a boom which required us to vie for quality subcontractors and skilled labor. 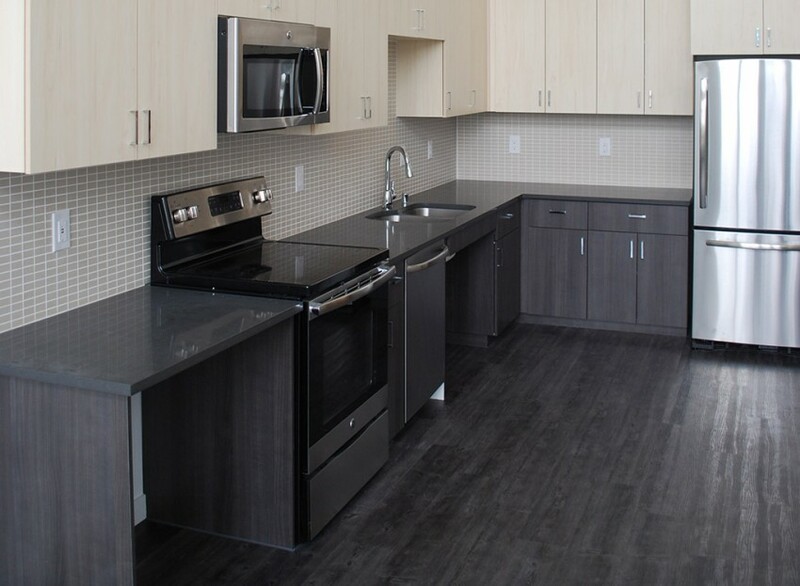 Rafn also successfully employed a phased construction setup and delivered early occupancy for our client. 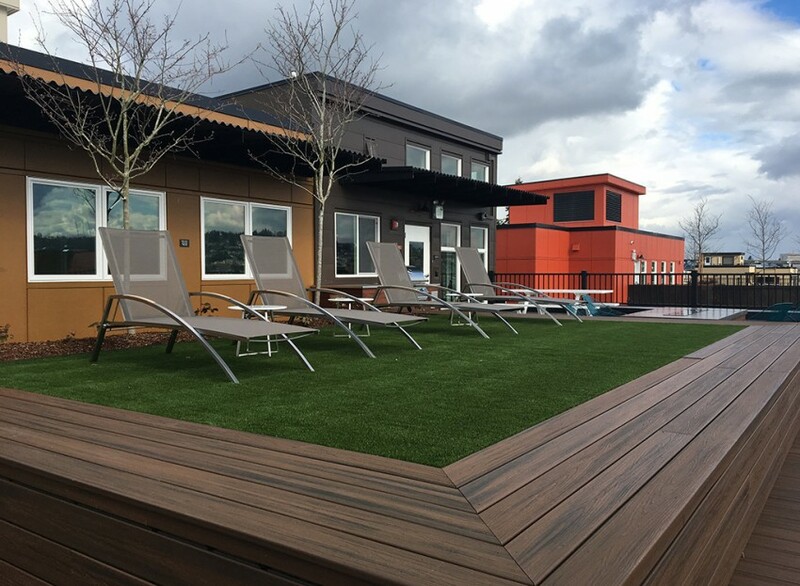 Working in the busy Wallingford neighborhood and around the operating Varsity Inn restaurant presented some logistical, coordination, and communication challenges, but our team developed great relationships with the community and with the owners of the Varsity Inn. So much so that at the end of the project they hung a banner on their restaurant that said “Thank you AMLI & Rafn. We love you”!